As far as I know yes it should. 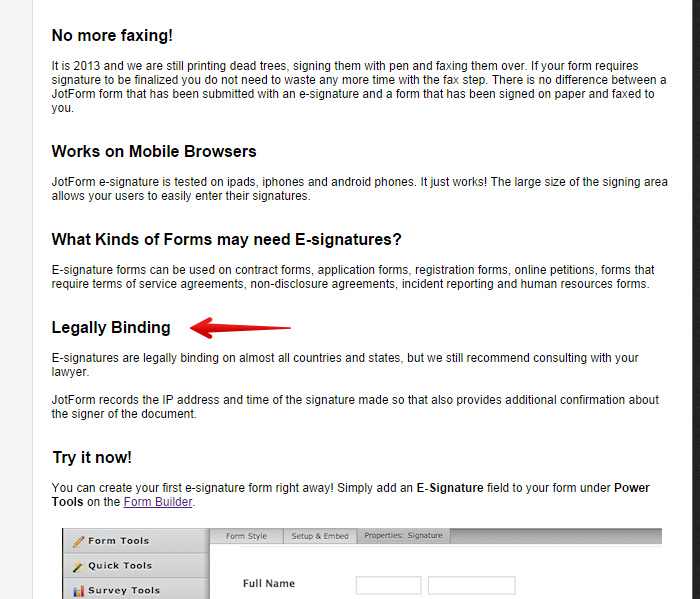 It was mentioned in our JotForm Blog about the E-signature as legally binding. Here is the clause I was referring to.. BUT as also mentioned there, it is recommended to still consult your lawyer about it just to be sure.